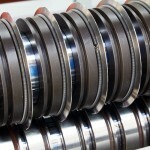 Winding machine shafts that use air-bladders to secure rolls both axially and radially during winding. The bottom part of a shear knife pair. Bi-Oriented (or biaxely) PolyPropylene (BOPP) film is packaging film used in the food and drink industry. BOPP is also used to carry security features on anti-counterfeiting and cigarette carton packaging. 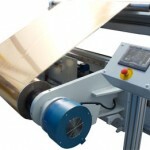 A bowed roller is typically situated before the slitting section and is used to remove wrinkles from the web material. 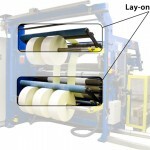 Peel off bar in a slitter, winder or lamination system designed to assist with the stripping of the paper carrier, usually as a part of a lamination process. 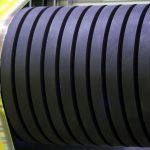 The use of load cells on a slitter / winding machine to measure the actual tension of materials being wound, so the control system can make very accurate adjustments to ensure precise tension is maintained throughout the winding / slitting process. Closed loop tension control is particularly useful when winding tension sensitive materials / substrates. Constant geometry layon rollers are mounted on linear (horizontal rather than pivoting) support arms. These do not vary their force as of the geometry change unlike conventional pivoting systems. 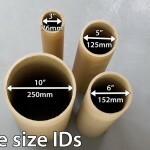 Core size ‘ID’ refers to the internal diameter of cores. Crush cutting is a method of cutting that uses circular knives held by knife holders. A slitting/ winding machine with two rewind shafts, allowing rolls to be alternately wound on each shaft. 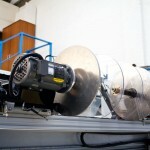 A slitting rewinding machine with a total of four shafts. Two sets of shafts are used for winding while the remaining two sets are used for offloading. Term used to describe film materials. 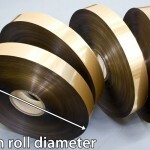 The finish roll diameter is a measurement of the diameter of the roll on the rewind of a slitter. Rollers on a winding machine that are not driven by the machine, and are therefore ‘idle’ and are free to be driven by the web. Interleaving is the term used to describe the problems caused when the edge profiles of two rolls on an rewind shaft become intertwined. Interleaving is to be avoided! 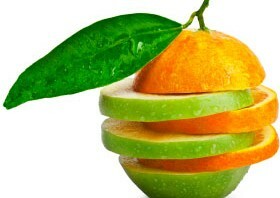 Interleaving is sometimes referred to as ‘interweaving’. Interleaving is a problem particularly related to simplex slitters. 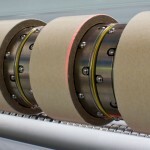 Arm-mounted rollers that apply precise amounts of pressure in order to eliminate air from fast-wound webs, ensuring perfectly wound finished rolls. Lay-on arms are often used when running filmic substrates at speed. 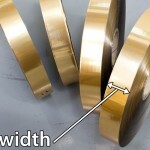 The minimum slit width on a slitter specification refers to the smallest width of finish roll that is required. Spreader roller with static elimination properties. 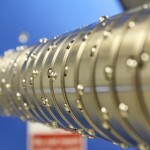 Utilised to offload slit rolls from the rewind shafts. The offloading tree can also provide support for the rewind shafts on cantilevered machines. The term ‘overwind’ refers to the position on the roll where the web meets the roll and winds onto it – the roll winds from the top of the roll. Razors used for cutting, normally held in place by a razor comb or razor blade holders. Useful for slitting some thin filmic substrates. 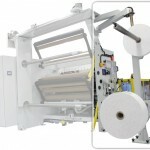 Reversible running enables salvage / doctor rewinders to run in two directions, allowing print direction to be corrected without the need to unload and re-load the roll. The shaft onto which a roll is wound onto. 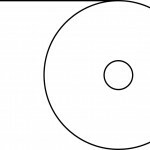 Term used to describe when the unwind part of a winder is not built into the same sideframes as the rewinding part of the machine. A separate unwind is sometimes utilized when additional processing machine (like laser perforation) is placed in the web path. 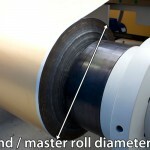 On a machine with a shafted unwind the master / parent roll is supported by a shaft running through the core of the roll. Circular knives that rotate together as a male and female pair acting much like a pair of scissors, generally used for heavier gauge films and papers. A slitting/ winding machine with a single rewind shaft. Some of the slitters in our machine range (the Universal X6 for example) feature an additional operator controllable tension zone. 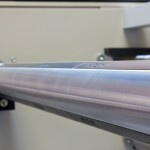 The tension through the slitting knives can be set independently of the unwind and rewind tensions, ensuring the optimum tension through the slitting knives. Generic term referring to a machine that is used to cut (slit) rolls of material while they are being re-wound. 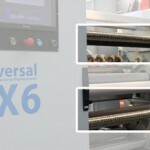 For example, our machine the Universal X6 is a slitter, but it might also be called a slitter rewinder or a slitting machine. A splice table, with web clamps or vacuum systems, is a device mounted on a winding machine to assist the operator to join to neatly join two webs. Roller used to spread the web material. 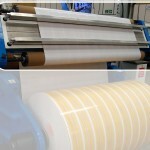 A spreader roller can also be used to prevent interleaving of finish / rewind rolls on a simplex slitter. Some materials and winding methods can generate huge amounts of static electricity that can be dangerous to operators and damaging to materials. There are several designs of static elimination systems. and on slitters they are often installed after the unwind and before the two rewind shafts. Term used to describe materials being fed through a machine as a web. 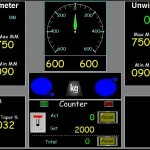 A touchscreen is used in control systems to facilitate fast and very user friendly controls. Motorised winders used for the removal of excess material. The term ‘underwind’ refers to the position on the roll where the web meets the roll and winds onto it – the roll winds from underneath. The shaft or shaftless system onto which the parent/ master roll is loaded. 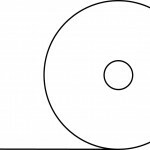 The unwind roll diameter is a measurement of the diameter of your master / jumbo roll. 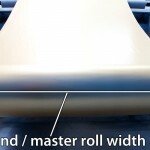 The unwind width measurement refers to the width of your master / jumbo roll. 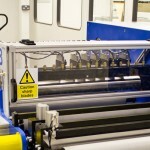 The term ‘web’ is a generic term used to describe material as it passes through a slitter / winding machine.